Jazzy Ash Press Photo Group - Photo Credit Brock Christoval. Jazzy Ash Press Photo Group – Photo Credit Brock Christoval. 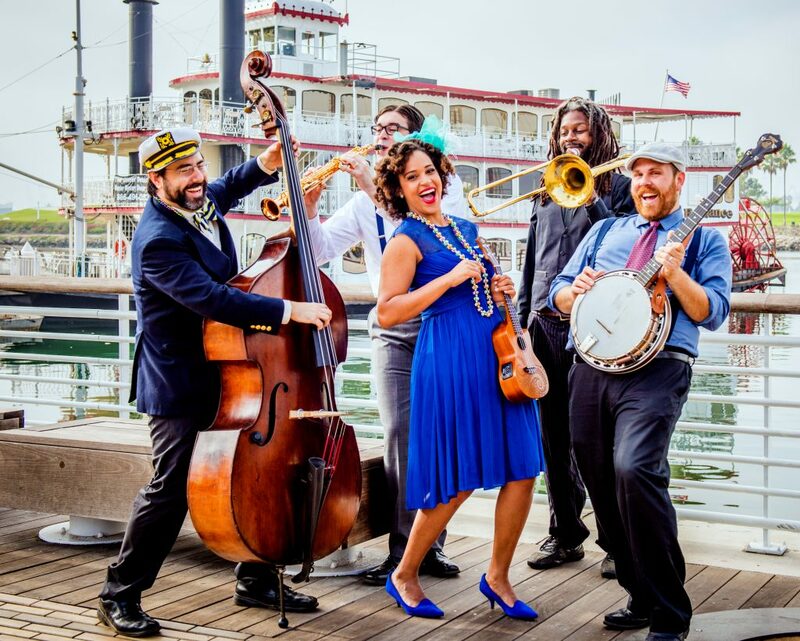 Children’s musician Jazzy Ash brings her lively, family-friendly New Orleans-themed music to Pepperdine University’s Smothers Theatre in Malibu on Saturday, March 2, 2019, at 11 a.m. and 1 p.m. at the Lisa Smith Wengler Center for the Arts. Tickets, which are $5.00, are available now by calling (310) 506-4522 or visiting arts.pepperdine.edu. More information about Jazzy Ash is available at jazzyash.com. Sure to “incite smiles and foot tapping” (Rock Father Blog), Jazzy Ash and her band the Leaping Lizards utilize a mixture of gypsy jazz, zydeco, swing, blues, and Dixieland to encourage kids and families to celebrate the magic of movement and the music of New Orleans as part of the American folk-music heritage. Jazzy Ash, also known as Ashli Christoval, grew up dually influenced by the music from her mother’s hometown of New Orleans, as well as by her father’s Trinidadian culture. She often spent summers in New Orleans with her aunts and grandparents, enjoying the culture and music that permeated their West Bank neighborhood. Starting in junior high, Christoval explored musical theater, portraying roles as diverse as Lady Macbeth and Anita in West Side Story while singing in several choirs. Later on, after becoming mom to two sons, she earned a degree in early childhood development, she embarked on her music education program, Leaping Lizards Music. Her first album Ready! (2013) offers peppy songs exploring preschool concepts, and her second album Home (2014) was the first to explore her New Orleans musical heritage. Her latest album, Swing Set (2017) features 14 classic songs, rhythms and rhymes that celebrate a tradition handed down by African-American children, adults, and musicians from the mid-19th century to the early jazz era. Jazzy Ash’s band the Leaping Lizards is a live five-piece New Orleans jazz band. Band members perform a variety of instruments, including ukulele, guitar, banjo, accordion, fiddle, bass, trombone, sax, washboard, and drums. Every musician in the band is also a professional music educator. 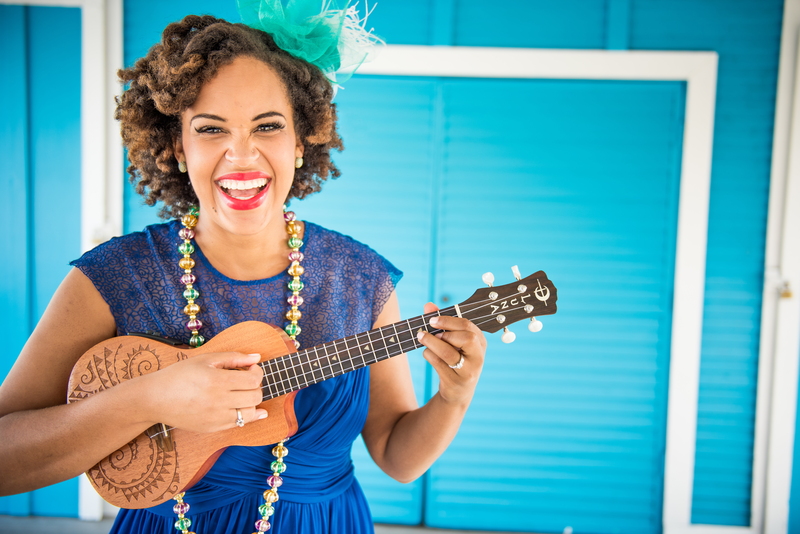 Jazzy Ash has had the joy of performing for children and grown-ups in over 50 venues across the country, including World Cafe Live in Philadelphia, The Rumpus Room (Sirius XM Radio), National Head Start Conference, Louisiana Children’s Museum, and the Getty Center. Her music has been featured by the LA Times and NPR, and continues to top the Children’s Music Charts. Her single “Heebie Jeebies” from her album Bon Voyage (2015) was a #1 hit on SiriusXM Kids Place Live, and she achieved Cool Mom Picks Pick of the Year 2015. Additionally, Jazzy Ash continues to focus on education, regularly teaching performing arts to children and music education to educators. Most recently, she has hosted workshops for National HeadStart, the National Association for the Education of Young Children (NAEYC), and MaxFunCon. Jazzy Ash and the Leaping Lizards’ performances are part of Family Arts Fest, a community event sponsored by the Lisa Smith Wengler Center for the Arts that will be held from 11 a.m. to 3 p.m. The day will include face painting, Weisman museum tours, backstage tours of Smothers Theatre, food available for purchase at some of Los Angeles’ most popular food trucks, and more. A full schedule of activities and artists will be available prior to the event at arts.pepperdine.edu. Activities and food trucks are subject to change. Jazzy Ash – Solo 2 – Photo Credit Steve Lorentzen. WHEN: Saturday, March 2, 2019, 11 a.m. & 1 p.m.
Family Arts Fest, 11 a.m.–3 p.m. 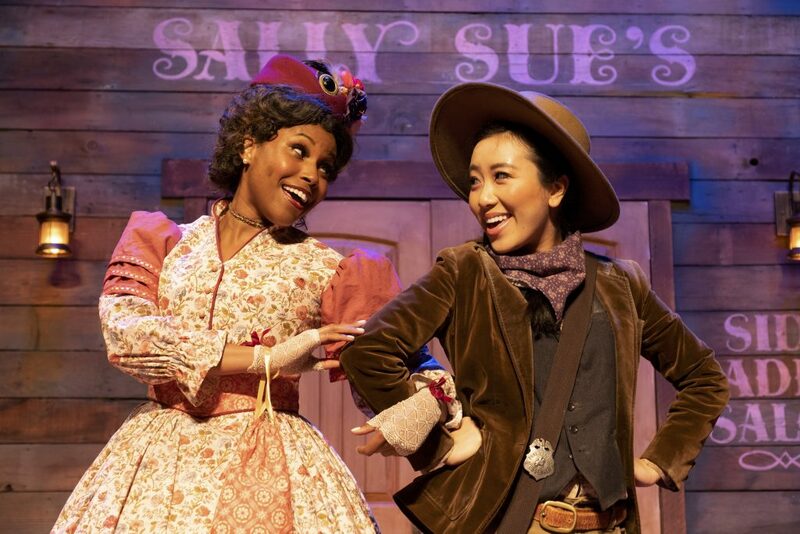 The Lisa Smith Wengler Center for the Arts at Pepperdine University provides high-quality activities for over 50,000 people from over 1,000 zip codes annually through performances, rehearsals, museum exhibitions, and master classes. Located on Pepperdine’s breathtaking Malibu campus overlooking the Pacific, the Center serves as a hub for the arts, uniquely linking professional guest artists with Pepperdine students as well as patrons from surrounding Southern California communities. Facilities include the 450-seat Smothers Theatre, the 118-seat Raitt Recital Hall, the “black box” Helen E. Lindhurst Theatre, and the Frederick R. Weisman Museum of Art.